Greetings to my sisters and brothers here in the OC. I've finally found time to work on a new set of power armour. My last project here was in 2013, my Space Wolf Grey Hunter named StormClad. Took me 3 years to finish him as I was on and off the project having focused on work and family during those years. Downing kegs and bottles, catching up on his reading. Let me introduce you to Thurgan Shi Zong of the White Scars. If you've read my build thread with StormClad before, I do a lot of planning prior to building. So before I got my hands dirty, I did some sketches and wrote some lore about him. 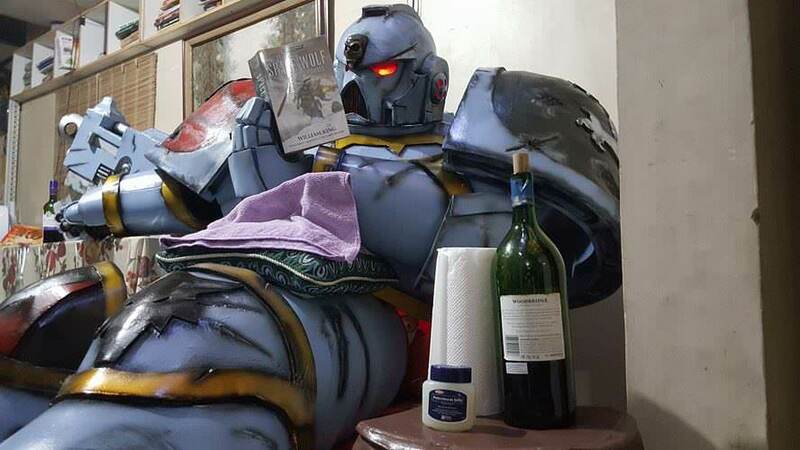 Yes, he's in Primaris Power Armour. 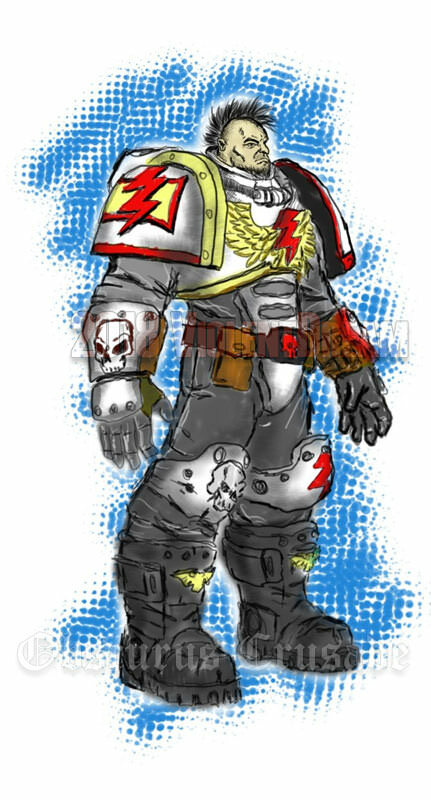 And he's also the Lieutenant of the White Scars First Brotherhood. it does matter to me what I put on my miniature, erm, let's just call it power armour regardless of the size, hehe. Color patterns are so easy to visualize and change when you sketch it out first. 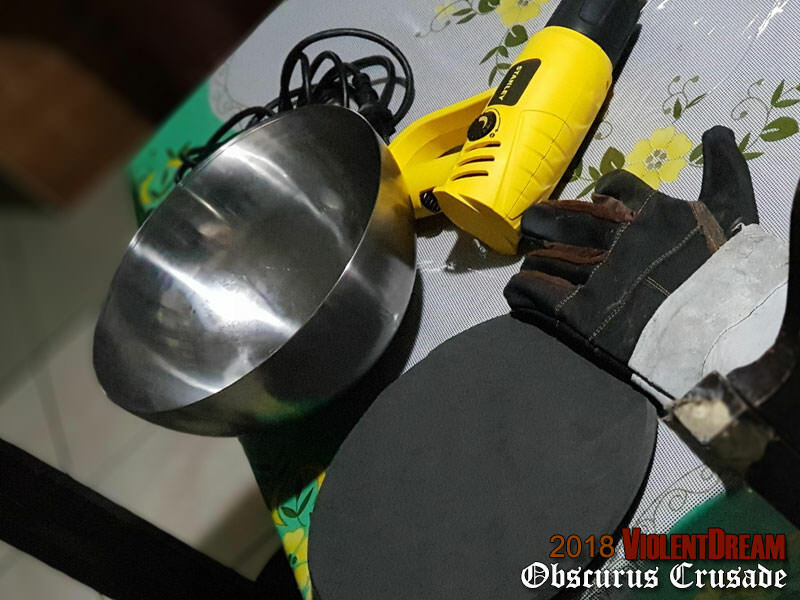 I learned that during my first few foam projects. 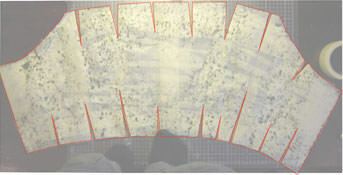 You can also easily plot out battle damage on a sketch so it will look realistic when you do it on the armour itself. Plan is to make this big guy around 7.5 feet. So yeah, stilts AGAIN. I did a working powerfist before, coupled with a bolt pistol. With Thurgan, I want to do 2 powerfists: one being a working powerfist / lightning claw. It should have a red LED lightup gimmick to it so it blends with the red, white and gold color scheme of the entire armour. The other powerfist, on the other hand (hehe), will be a forearm stormbolter. So yeah, my original plan was to start on this January 2019. But I had to start sooner because my free time came earlier than expected! I wouldn't want to undergo a year on this project. Been there, done that. Getting back to the project details, I'll be using focusing on 2 powerfists. So I already have .stl's of Gary Sterley's powerfist (bought those from him, you should, too!). 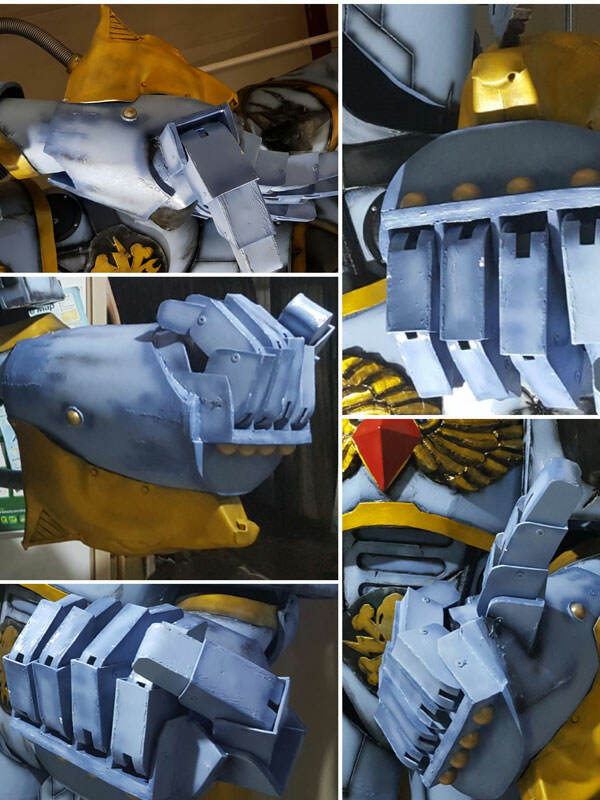 As well as using his and Henrik Pilerud's template for the Powerfist forearm. I used this in my previous project, as well. This time, though, the inner mechanism I'll be using for both Powerfists will no longer be the string/marionette style. I've decided to use a linkage system. I've been tweaking some prototypes and having to scale it up to fit the 3d printed fingers. So when I've traced these into 2d and built them into 3d and into a .stl file, I'll have to make it stick or fit-form into the 3d printed fingers. If you see the sketch, I'll be adding some sloping or curved details onto the left powerfist's forearm. I've written some lore for Thurgan. After reading "Scars" and "Jaghatai Khan: Warhawk of Chogoris", I was so stoked to give my new project some character and an interesting, although convoluted story. He was already at the side of the Warhawk of Chogoris even before he attained the title. Even before becoming the Primarch of the White Scars. Ten summers after his arrival on Chogoris, as their tribe moved to their winter settlements, Jaghatai Khan was traveling on a mountainside with a group of his followers. A vast avalanche pushed him and his group back down the mountain, killing the normal men. All except Jaghatai and Thurgan. They had survived, but they both could not get back up the mountain in time before the tribe moved on. Khan was caught by one of the Palatine's hunting bands lead by the son of that ruler. He had hidden Thurgan in a pile of snow, giving him specific instructions to try and catch up with his tribe and bring news that he would allow himself to be captured by their enemies. All that returned of that band was one mutilated rider with the head of the son of Palatine and a note saying that the people of the steppes were no longer his toys. Thurgan stayed loyal to the Warhawk. He was considered a staunch, ferocious ally. 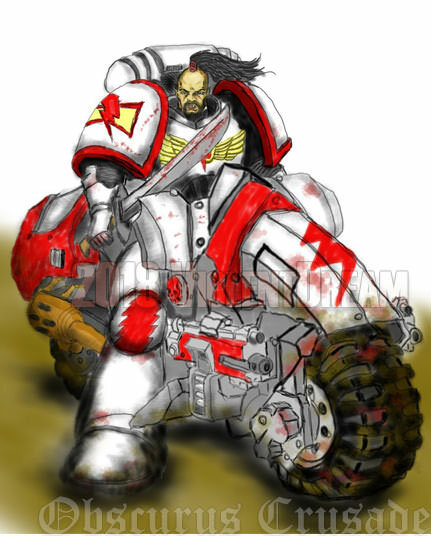 When the Khan was found by his father, the Emperor and given the honor as Primarch, he immediately secured Thurgan’s place by his side and had him undergo the trials to be reborn as a hulking White Scars Space Marine. He served the White Scars in almost every battle in the crusades. He found tirelessly against the Orks of the Chondax System and was even present at the Siege of Terra during the Horus Heresy. When Jaghatai was in pursuit of the Drukhari who had savaged Chogoris following the Battle of Corusil V with his 1st Brotherhood, and disappearing through a Warp Gate, Thurgan was also left alone with a handful of loyal Chigori brethren. Once the Warhawk disappeared and the loyalty of some of the White Scars started to wane, Thurgan took the lead into trying to contain the situation. 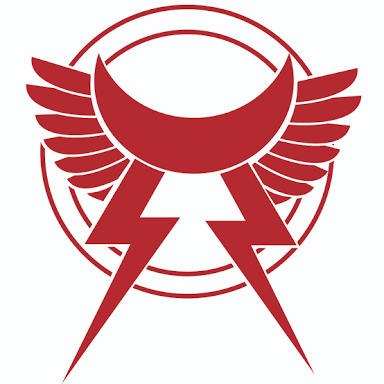 With only a handful of loyal Chogori White Scars by his side, they were outnumbered by their brethren of Terran origin, who were then turning to side with Horus’ cause. He tried convincing the White Scars of Terran origin that siding with Horus was the wrong decision. Sadly, most of them did not listen and thus started attacking the loyalists. Thurgan and his men were able to hold them off until their Primarch teleported himself back. He revealed what he'd learned to his White Scars, both loyal and traitor, with the former, even just upon seeing his return, immediately regretted their decision. The pro-Horus faction surrendered instantly. Shamed of their doubt, they put themselves in their loyal brothers’ and their Primarch’s mercy. 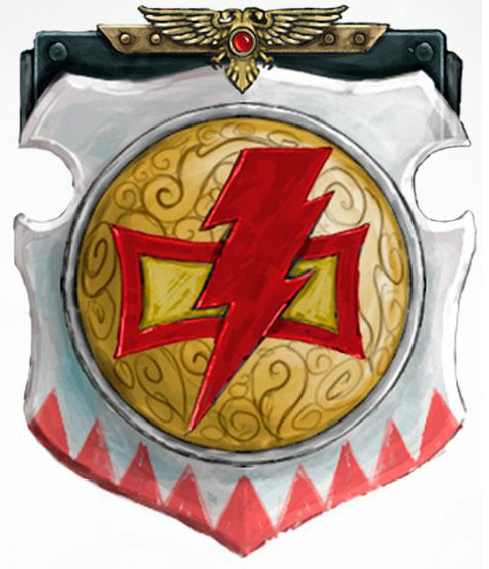 This sealed the fate of the Terran White Scars. Some were executed, while the rest were formed into suicide squads called the Sagyar Mazan and were sent out to kill traitors until they themselves died. Jaghatai was greatly pleased with how Thurgan handled the insurrection. He made him Lieutenant of the First Brotherhood. Thurgan’s joy at being granted with such an honor was shortlived, however, as soon, his Primarch once again disappeared without him, into the Warp. This time, far longer. Even without his old friend and Primarch, Thurgan has continued to serve his brethren. He has remained in his rank, but is now wearing Primaris Power Armour, as a mark of his famous skill in adapting to the times. His old armour, consisting of Mk. II, Mk. III, and Mk. IV pieces and livery throughout the centuries, is hidden away for now. He has sworn to wear it again when his Primarch returns in their time of need. He mixed and matched some old pieces throughout his campaigns, as each piece meant a lot to him. 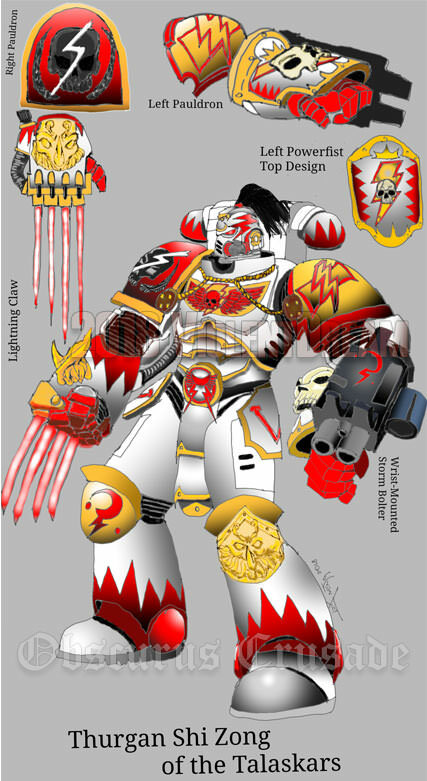 He honors his White Scars brethren deeply, and at the same time, wears new tech for added advantage in battle. Hence, sporting the advanced Primaris armour set. And here, when he was already a Space Marine, riding out in his bike post-Warhawk disappearance. 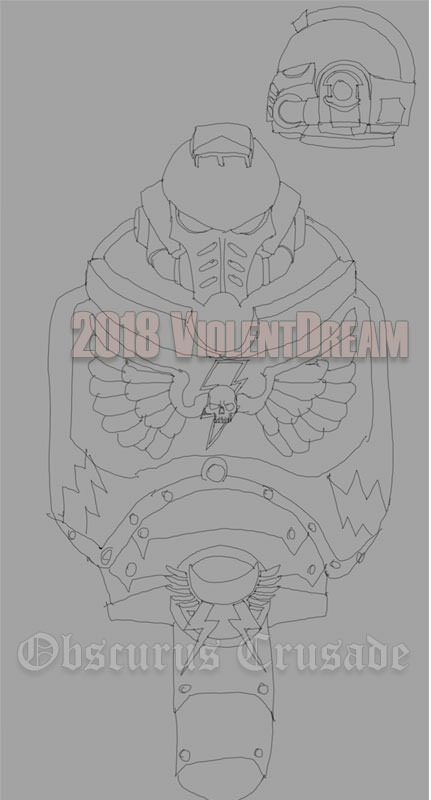 Here's my sketch of his Primaris Power Armour and what details I'll be putting up on front. 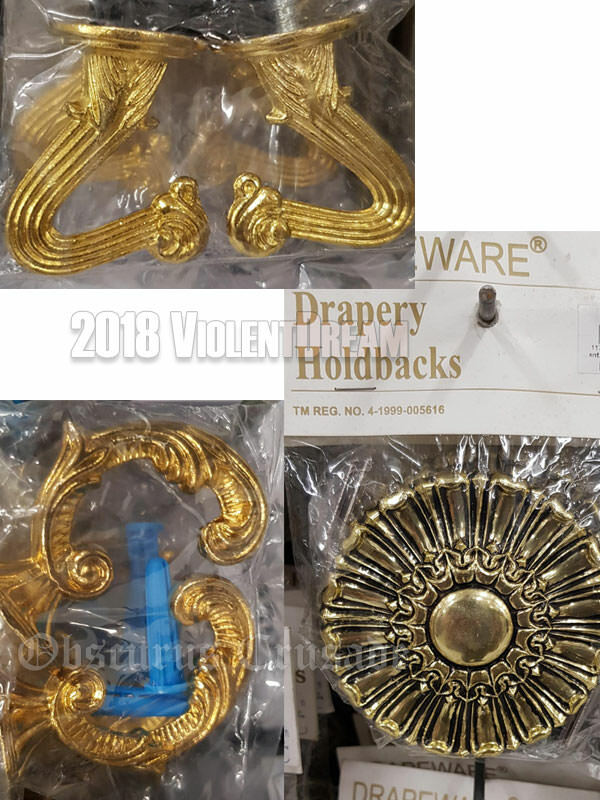 So there will be small swirls especially on the gold parts. Tonight, getting work done on the Primaris helmet. 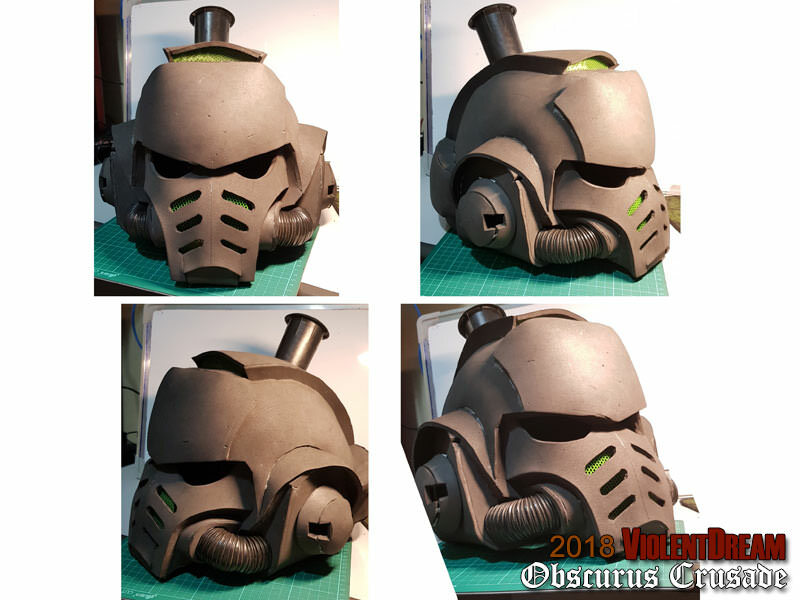 Heatgunnin' foam and getting the top of the helmet to be flawlessly round is not as easy as it seams (hehe). Yep, that Ikea bowl is helping me with the round shapes. And those gloves, for heat protection. Always stay safe, is the numero uno priority. wow, this is off to an awesome start! This is awesome. I'm so happy to see another White Scar out there. I'm really interested in the linkage you have done for the power fist. I would love to get more details about it. If you could pop me a line sometime @drakmarsfoundry that would be awesome. I do have a question about your backstory. He would be old.. over 10,000 years old wouldn't he? damn, as much as speed is discussed, suddenly hindered by work and family obligations. I did finish the helmet after 3 tries though. Posting about it soon. Hey brother. 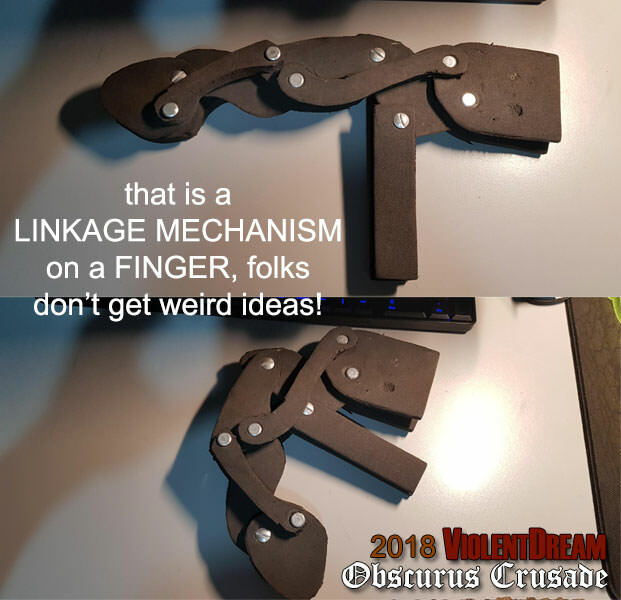 To start you off on the right path to creating linkage hands, this guy's work is a major inspiration. I based my custom design on what he did with his hand. Build tutorials on his facebook page in the comments section. As for Thurgan's age...yes, he's about that old. There have been a number of debates as to Space Marine's lifespan, and Black Library and their content has been pretty vague about it. Depends on the author really...guys like Dan Abnett just make Space Marines cool especially in battle, but never really go into their age or if they die of old age. Nick Kyme, however, has written a story of a Salamander that's about 10,000 years old. Chaos SM in the Eye have also been known to be over 10,000 years old. Following the rule of cool, though, which is the underlying theme for anything unexplainable in the WH40k universe, Thurgan inexplicably has not been killed yet. Thurgan's just this awesome old grandpa who's seen it all and has been wise and agile enough not to die in battle. Speed is his game, and none have caught up to him up to this day. Though my intent on why he's still alive all these centuries is...he is that old dog who's just waiting for his friend and master before he dons his old collar to welcome him and eventually, before passing on. Heck, he might just as well die with a smile on his face just upon seeing the Warhawk's return. Man this is intense, but i have a question. If your characters is 10.000 years old and have met with the Khan, how can he be a Primaris ? These Space Marines have only been created recently by Claw's on Great Smurff order's. He's not. He only dons their new Mark X armour. Wanted to lay-out some El wire just to see glowing eyes and putting glowing lines on top of his head. That's for next update. Thanks for your enlightment, my brother. I really love the shape of your helmet Keep going ! Thank you, brother. Hope I can post more frequently, busy holidays ahead! So life has taken a sudden jab at me...or even an uppercut and roundhouse combo. Hence my lack of updates and progress. My mother passed away last January 12, 2019, due to complications of a heart attack. I'm left to pick up the pieces, along with my father, who's obviously devastated. I've also recently moved to a new house with my wife and kids before it all happened, so it couldn't have come at a more unfortunate time. I remember her wonder and praises with my first build, StormClad. She kept asking what the features I did with it were (if it could talk and walk by itself, etc. ), and even if I could sell it and for how much (not that she wanted me to sell it, but she was just always curious). She was also showing symptoms of dementia for the past couple of years, hence she was constantly repeating her questions. I never did mind. The fact that she kept acknowledging my work (well, who couldn't, it was a big hulking piece of armor near our dining room) was enough of a motivation for me to keep it displayed. Now we're still all coping with her loss and it hasn't been (and never will be) easy. But when I started my idea for Thurgan, she was still around. We actually chatted about it despite her condition, so I don't think she could've remembered. She did ask if I was starting on a new suit. And she did say that it would be quicker for me to finish it now that I've had enough experience with StormClad. She also quipped that I could do a better job now, too. I took that to heart. It now means much more now that she's gone. But it's a challenge that I accept, Ma. This one's for you. She also liked wearing white and she was fond of fixing her hair. So, Thurgan, let's make this a fitting tribute. Not only for the Khan, but also for her.